Use the icon on the right to download the Rudiment Rock-it iPhone app. 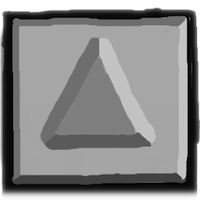 Rudiment Rock-It is an entertaining game for everyone; particularly percussionists. Play it to quickly learn drum rudiments and common patterns. Perform the rudiment correctly and evenly to get the rocket to the top of the screen and beat each level. The harder the difficulty you set, the more points you get to unlock new patterns and difficulties. But don’t set a faster difficulty than you can handle or you’ll crash off the side of the screen! Tap the correct side of the screen to fire your engines in the given sequence. For example, the sequence might be L R L R. Tap this sequence repeatedly. 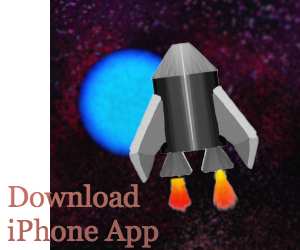 Your rocket will propel itself to rudimentary excellence! Rudiment Rock-It began when I (Caleb) was thinking about how to teach drum rudiments. Progressively turning up the metronome for hours is not particularly exciting. I wanted a better way. So Rudiment Rock-It is designed to be a fun alternative to using the metronome. It includes the single, double, and triple stroke rolls, and paradiddles. The other patterns are not traditional rudiments. However, they are still useful in all things percussion. The game starts the player at a beginner speed/difficulty. As the player progresses through the various difficulties, harder difficulties and new patterns are unlocked. This is great for learning the rudiments slowly and correctly. It restrains the player from attempting patterns and speeds that they’re not ready for. After all of the patterns are unlocked, there is still room for progress. Level 99 is at the limits (maybe beyond the limits) of human capability. Rudiment Rock-It will challenge the player to shoot for this and continue to encourage further proficiency. 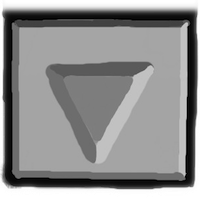 Rudiment Rock-It is not just for percussionists. 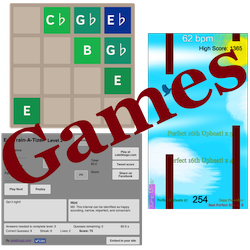 A student of any instrument that uses hands and fingers will benefit from this game.